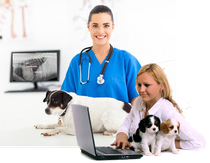 Every veterinary practice these days will have an active Practice Information Management Software (PIMS) program. The PIMS is responsible for invoicing, medical records, and client communications. Often the practice will want to have a tight connection between the patient medical record and the related diagnostic images. Practices can share images and information between Image Acquisition systems and their PIMS for different purposes and by different methods. Some processes may be simple and easy to execute while others require sophisticated integration. Because integration can mean many things, it is important to understand the goals of the practice. 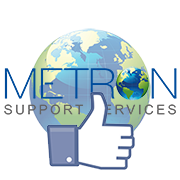 Simple to do, one can export images from Metron and then import those images into the patient record of the clinic’s PIMS patient record. 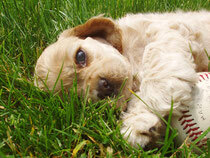 This technique may be useful for presenting images to pet owners. Difficult to do but possible, if all of the right pieces are in place, one can order a radiograph study from within the PIMS invoice process and finish with captured images matching the original order and the PIMS invoice being automatically marked with “order complete”. It is very difficult to build custom interfaces for each PIMS. As the PIMS versions change, the interfaces have to change as well. Also, most of the major PIMS have already moved toward the DICOM standard. Metron conforms to the veterinary DICOM standard. If the PIMS product also conforms to the veterinary DICOM standard, it is easy to share images and information while avoiding “Custom” interface development. 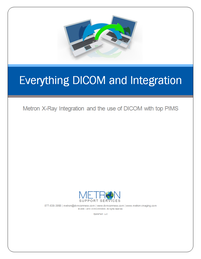 ● Each PIMS “DICOM” capabilities.